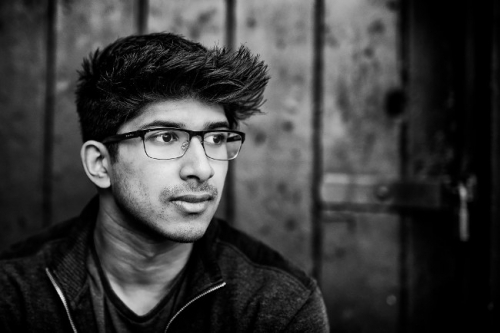 There is something rather magical going on in this beautifully honest and emotive track from 21 year old singer-songwriter Soham De. Taken from his debut EP, The Next Nowhere, Confession effortlessly draws you into a gorgeously intimate and vulnerable piano-driven number, packed full of raw emotion and intensity. It's an absolute gem, with his soul-tinged gritty vocals taking centrestage as he regales his deeply personal lyrics. With echoes of Ben Howard, James TW, and James Morrison, it’s perfect for mood and coffee break themed contextual playlists, as well as spins on national radio and specialist shows across the country. The King's Lynn native has created a gorgeous debut offering with a sound that wouldn’t surprise us if we heard it on an American TV soundtrack soon. He has just completed an extensive European tour with the Pierce Brothers and will play Hackney’s Paper Dress Vintage next year on 28 February. Heartfelt and powerfully compelling.